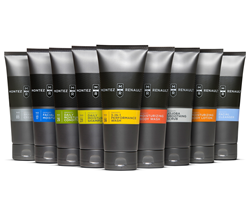 Football season may be over but the NFL spirit continues today as CNN is set to profile Cleveland Browns’ linebacker Karlos Dansby and his new men’s grooming line, Montez Renault. Dansby, who once held the title of 'highest paid linebacker in NFL history' thanks to his $43 million deal with the Dolphins co-founded the high-end collection of hair & skincare products along with his former Auburn University teammate, MR Founder & Chairman Chris Butler. The duo, who always shared a strong affinity for grooming, also co-own Butler's Grooming Club together inside Saks Fifth Avenue. The segment during today’s episode of Morning Express with Robin Meade will explore the backstory to Dansby’s unique business as well as paying a visit to his grooming club. Called one of the “Best Places in America for a Shave” by Ebony Magazine, both the Club and the skincare line are making waves within the men’s grooming industry. The expanding company also recently named Ronald Levitt, Bobbie Knight, and Johnnie & Nick Sfankios as new board members.